Please note that we will not be accepting applications for adoption of children 0-4 as we currently have many approved families looking to adopt in this age range. If you feel that you have specialized skills, experience or could meet the diversity needs of children and youth, please connect with us to discuss further. Foster parents provide a stable and supportive home for children and youth who are unable to live with their own families for as long as it’s needed. Sometimes they adopt children that have been living with them. Adoptive parents provide permanent homes for children and youth who are unable to live with their own families. Adoption is the legal process that gives children and youth a new lifelong family. Adoptive parents maintain connections between the children that live with them and their birth families. 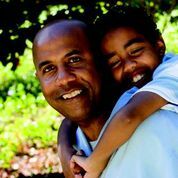 Foster & Adopt parents are available to both foster and adopt, depending on the needs of the child or youth. Kin in Care parents have been approved to take care of a child or youth who is known to or related to them. Children and youth we work with are all different and bring their own life stories. Only some need us to find temporary or permanent caregivers for them. For every 100 children our organization works with, only 1 child is placed in foster or kinship care. Our Foster & Adopt workers ensure that caregivers can meet the needs of the children and youth that come to live with them. What do you need to be a Foster, Adoptive or Kin parent? Who can be a Foster, Adoptive or Kin parent? We will talk to you about your current situation to see if you are ready to move forward with your application.